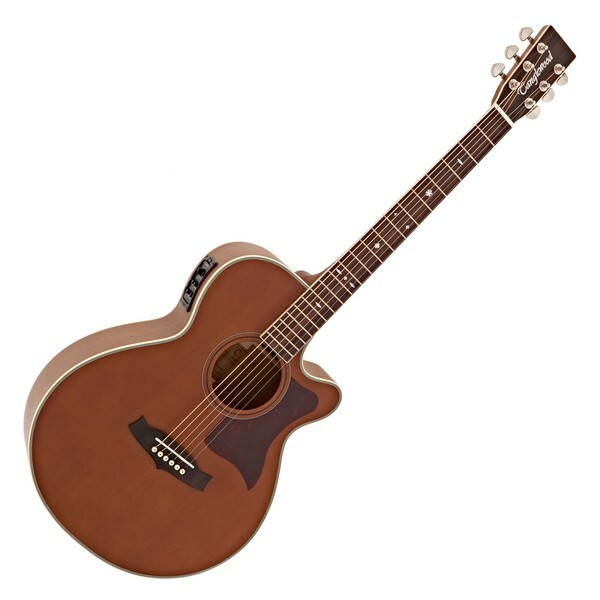 The Tanglewood TW45 NS E is built from Solid Cedar for the Top and Solid Mahogany Back & Sides coupled with a Mahogany Neck. This tonewood combination produces a super warm tone with a defined top end with lots of mid-range punch. Finished with a thin rich satin varnish on the TW45 NS E which allows the timber to breath and add body and depth to the tone. 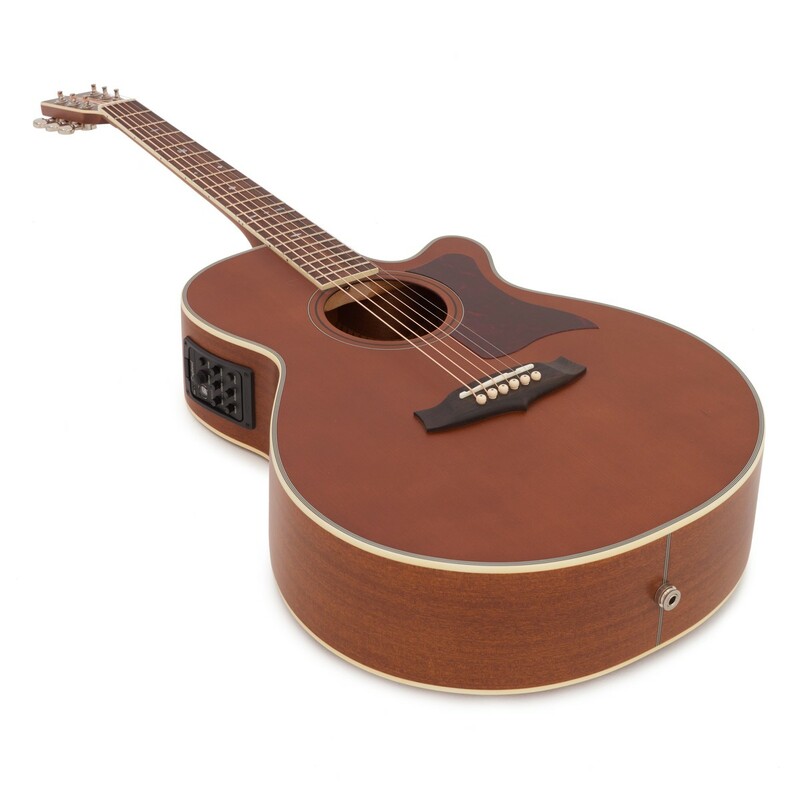 The Tanglewood TW45 NS E has the high quality Fishman Presys+ Pickup and Preamp system fitted for exceptional tone when using live on stage or recording at home or in the studio. Includes ABS hard case for secure transportation. 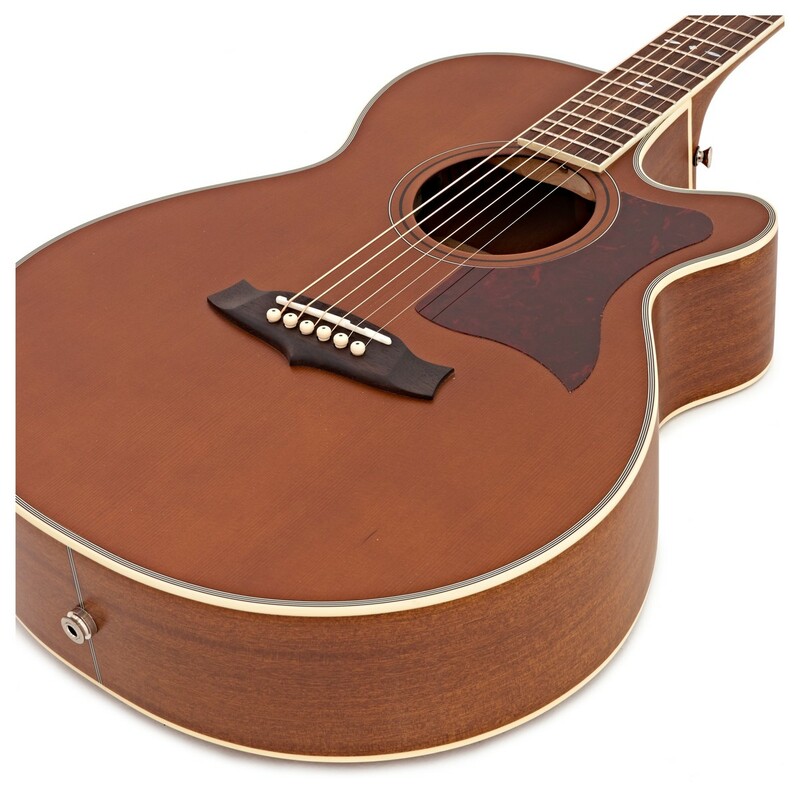 This guitar is an ideal choice for those looking to balance quality with value. 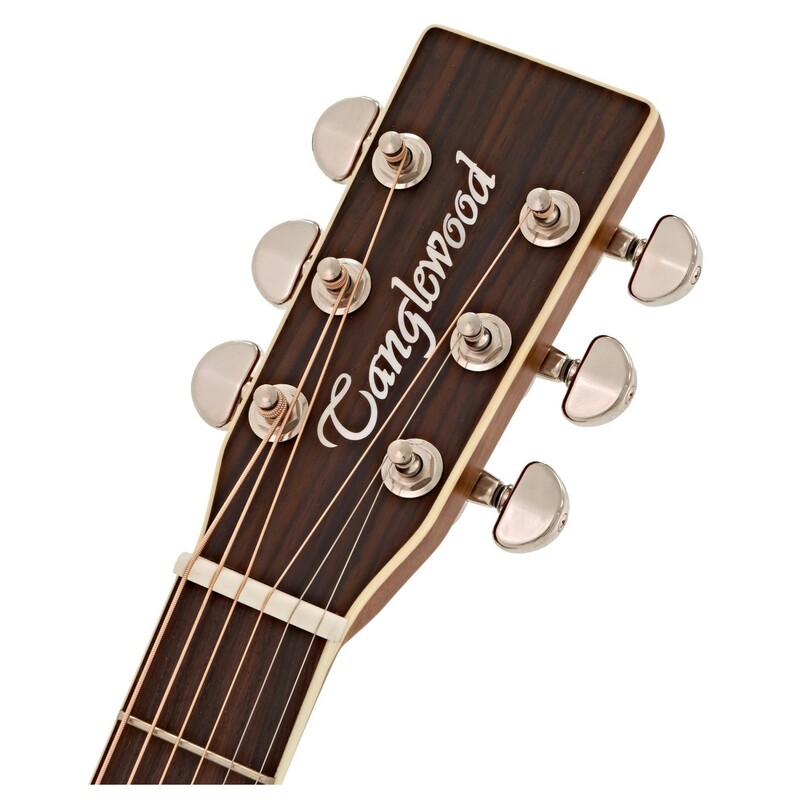 Built to high quality standards and featuring superb tonewoods, Tanglewood guitars can be relied on year after year. The main feature of this guitar is the all solid timber construction from the Solid Cedar Top to the Solid Mahogany Back and Sides. 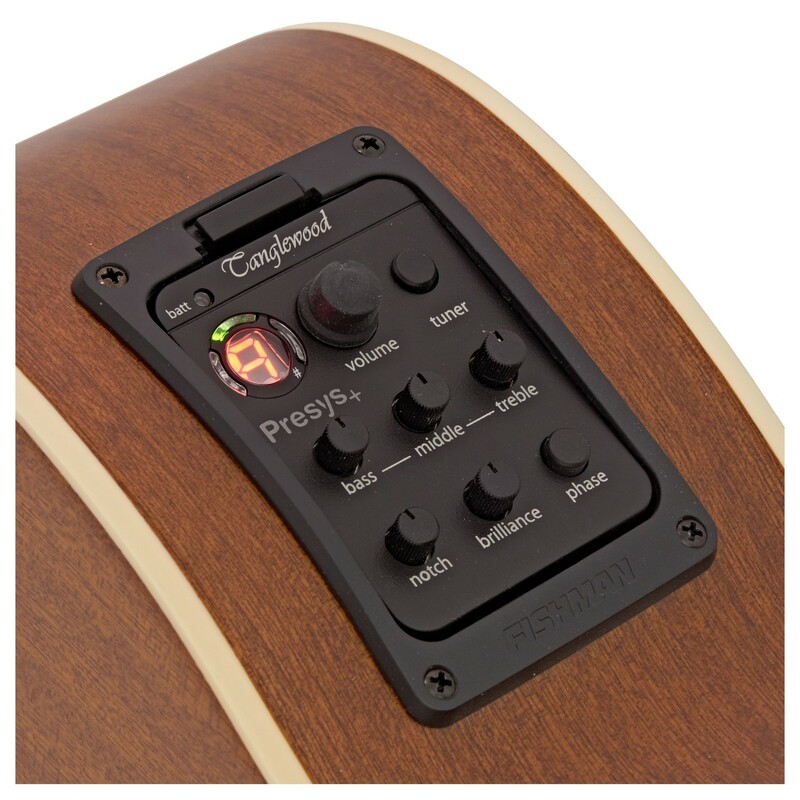 The Fishman Presys+ allows you to further refine your sound when running through an acoustic amp, recording setup or PA system. 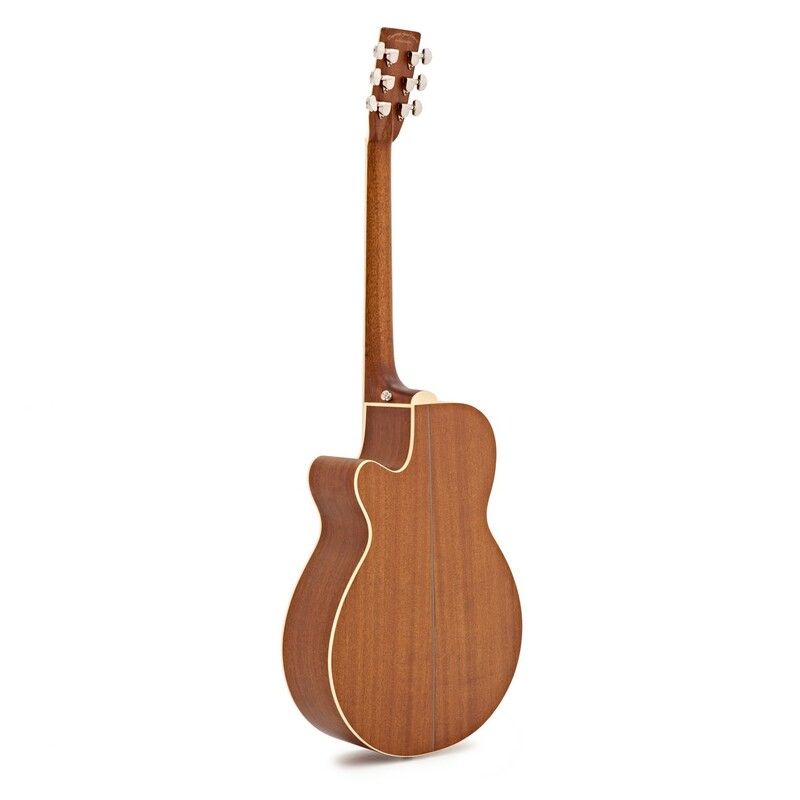 Buy a Tanglewood TW45 NS E, and listen to the tonewood sing!